Groups can choose from 15 ticket options, including the Unlimited Fair Admission ticket. Groups also can buy discounted tickets for the Fair’s Toast of the Coast Wine Festival, San Diego International Beer Festival and Distilled Spirits & Cocktail Festival. Coordinate an order with your friends, family, clubs or co-workers, and everyone saves money! Deadline to order: July 3, 2019; 3:00PM. Groups can choose from 15 ticket options, including the Unlimited Fair Admission ticket. Groups also can buy discounted tickets for the Fair’s Toast of the Coast Wine Festival, San Diego International Beer Festival and Distilled Spirit & Cocktail Festival. Please note: The order form is best viewed on a large monitor, using Chrome. Group Sales tickets must be purchased in advance, but they do not have to be redeemed on the same day. The online order form describes ticket options, prices, descriptions, minimum purchase requirements, and when your tickets will be available for pick-up or delivery. Please read the new order form carefully, as many items have changed. All ticket pick-ups will be at the Del Mar Fairgrounds O’Brien Gate Will Call booth. Get in touch with our Box Office or call Group Sales at (858) 794-1096. Deadline to request: May 15, 2019. 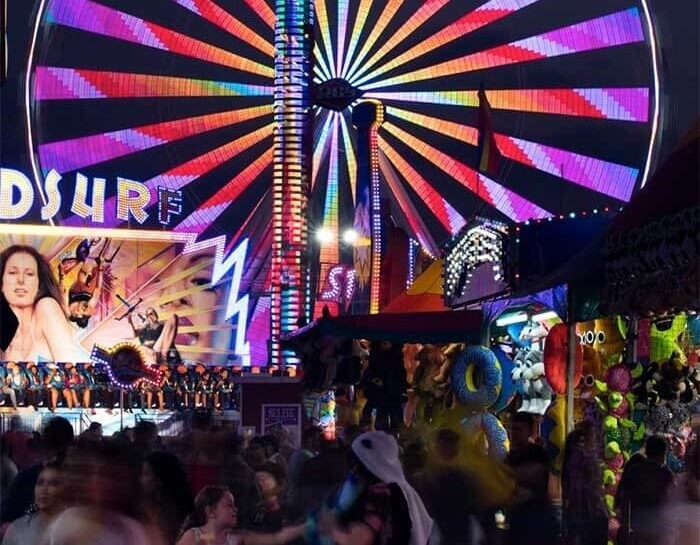 Consignment tickets may be available on approval to local companies with hundreds of local employees with a history of large purchases of Fair tickets. Upon submittal, Group Sales will call to discuss your request. If approved, Fair consignment tickets must be picked up and signed for at the Fairgrounds. or call Group Sales at (858) 794-1096.